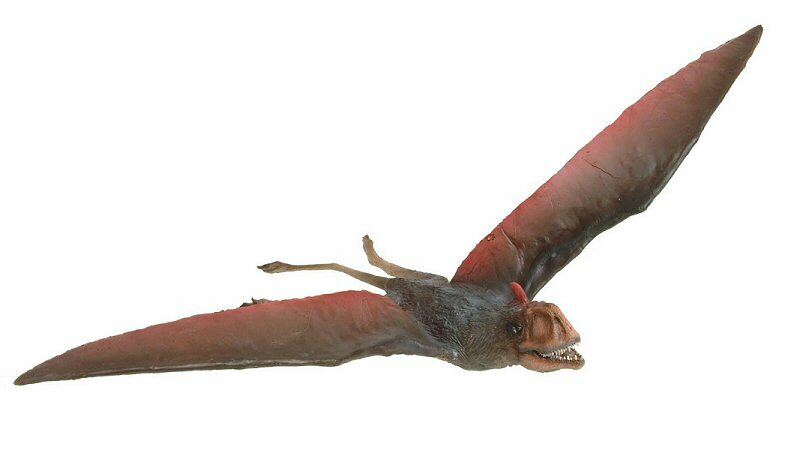 Anurognathus was a tiny pterosaur and a cousin of the dinosaurs. Its body was very small (9 cm) compared with its extensive wings (50 cm) and it had a stubby tail. Anurognathus was a specialized insectivore and had a compact 2 cm head full of needle-like teeth. This short, deep skull was characteristic of the primitive pterosaurs. 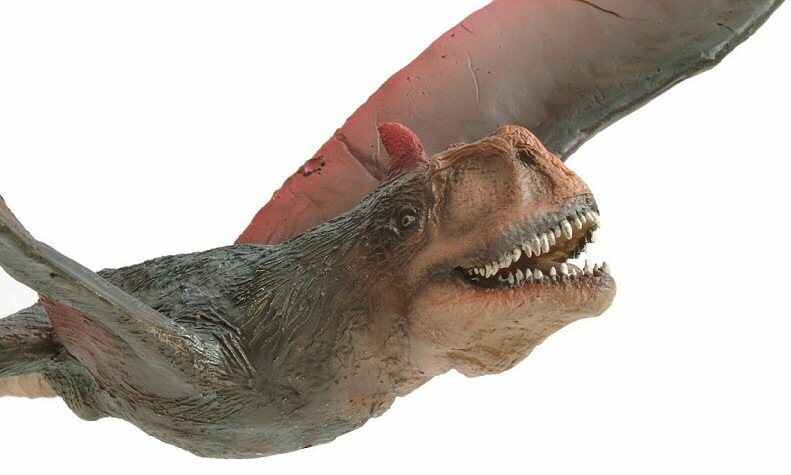 In time they evolved longer and thinner heads. Paleontologists believe that Anurognathus ate insects like lacewings and damselflies, but that some of the dragon flies may have been too big for it to tackle. There is a theory that it may have conducted operations from the backs of large sauropods, such as Diplodocus. This is what some birds do today, sitting on the backs of animals in grazing herds, in order to feed on the insects that they disturb and attract.